Max Lugavere is a filmmaker, TV personality, and health and science journalist and brain food expert. He is also the director of the upcoming film Bread Head, the first-ever documentary about dementia prevention through diet and lifestyle and author of Genius Foods: Become Smarter, Happier, and More Productive While Protecting Your Brain for Life (Harper Wave, March 2018). Lugavere has contributed to Medscape, Vice, Fast Company, and the Daily Beast and has been featured on NBC Nightly News, the Dr. Oz Show, and in The Wall Street Journal. He is a sought-after speaker, invited to lecture at esteemed academic institutions such as the New York Academy of Sciences and Weill Cornell Medicine, has given keynotes at such events as the Biohacker Summit in Stockholm, Sweden. From 2005-2011, Lugavere was a journalist for Al Gore’s Current TV. He lives in New York City and Los Angeles. What if Alzheimer’s and other neurodegenerative diseases are preventable? What if our choices at the grocery store cash register, and the decisions we make when we’re craving a snack, are contributing to or causing dementia? Those are the questions that drove Max Lugavere – health and science journalist, brain food expert, and the co-author of the New York Times bestseller Genius Foods – to create his upcoming documentary Bread Head, a first-of-its-kind film about taking back the fate of our defining human characteristic: Our brains. Bread Head is also an incredibly personal story for Max because it documents his mother’s battle with a neurodegenerative disease. Unfortunately, there aren’t many viable interventions once symptoms start to appear. You’re just prescribed glorified biochemical band-aids and sent on your merry way. Max found that experience unsettling, and it drove him to pursue real answers. To Max, our current dementia epidemic didn't make sense. The human body and mind can’t be designed to fall apart so dramatically as we get older. He’s determined to reverse the commonly held belief that getting older means eventually losing your mental capacities and becoming dependent on the medical care system. Or has he sometimes calls it- the sick care system. Through Max’s tireless research he’s making some very promising discoveries about how our diet and lifestyle choices shape the future of our brain’s health. This episode will teach you the real truth about how lifestyle and diet affect our health. It turns out that changes in the brain begin decades before symptoms develop, so the absolute best way we can move the needle on neurodegenerative disease is by minimizing risk when we have the chance. And every day, we make choices that move the needle one way or another. So what choices are you going to make today? You can start by diving into this thought-provoking conversation, then share it with someone you know who wants to keep their mind young and nimble. ONNIT. I’ve been using Onnit products for years, but these guys are growing and growing fast. I recently visited the Onnit headquarters and can tell you that they are doing it right, plus their insane product line is always made with science-backed, earth-grown nutrients. Whether you’re looking for something to get swole, relax, or supplement your diet, Onnit has you covered. You can save 10% on all foods and supplements + receive a FREE gift by going to onnit.com/luke. FOUR SIGMATIC. Melt away stress, boost immunity, relax & sleep deeper, improve productivity, increase brain power, get stimulation without jitters. Sound like all the good stuff you want? Welcome to the medicinal fungi kingdom with Four Sigmatic's highest quality mushroom & herbs in little packets of magical power that you can add to your coffee or warm drink. Now featuring a slew of brand new super chronic, super food & herbal blends! Check out the green coffee bean extract, the brain stack, the sleep stack, the matcha tea with Lion’s Mane, and the new coffee + mushroom infused mixes! Use coupon "thelifestylist" for 15% off at foursigmatic.com/luke. JOOVV. 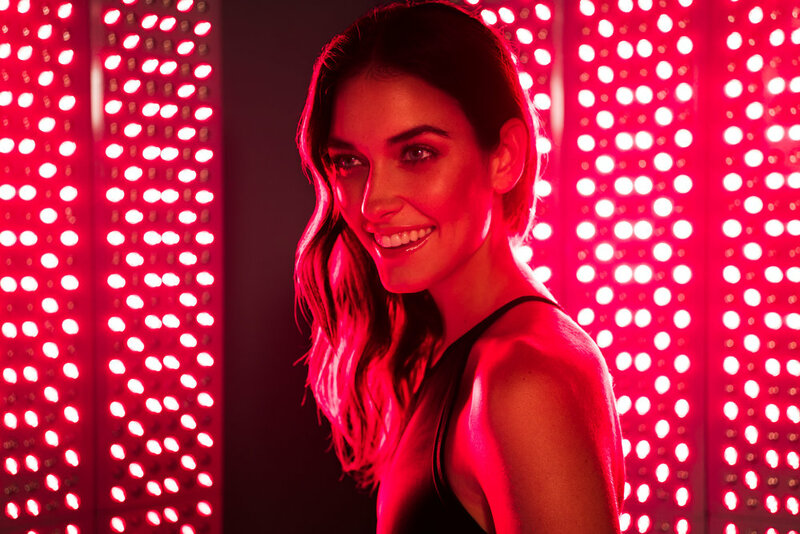 If you’ve been listening for a while or following Luke on social media, you’ve probably seen him raving about red light therapy, or photobiomodulation. There are over 3000 published clinical papers on light therapy – over 200 being double-blind, randomized, and placebo-controlled – making this arguably the most well-researched bio hack in Luke’s arsenal. Some of the benefits include increased skin health, better muscle recovery, better sexual performance, and reduced joint pain and inflammation. So you can see why Luke is so into it... and why all of his friends keep coming over to use his Joovv device! If you are ready to get your own Joovv device + a FREE gift, head over to Joovv.com/luke and enter the code “LUKE” at checkout.